General admission to USS Midway Museum. Access to over 60 exhibits and 29 restored historic aircraft. Self-guided audio tour, which is narrated by former Midway sailors and officers. Enjoy exploring one of the largest aircraft carriers in the US Navy fleet. Explore climb-aboard aircraft and cockpits. Open-dated USS Midway Museum ticket allowing you to visit the USS Midway on a day that best suits your itinerary. 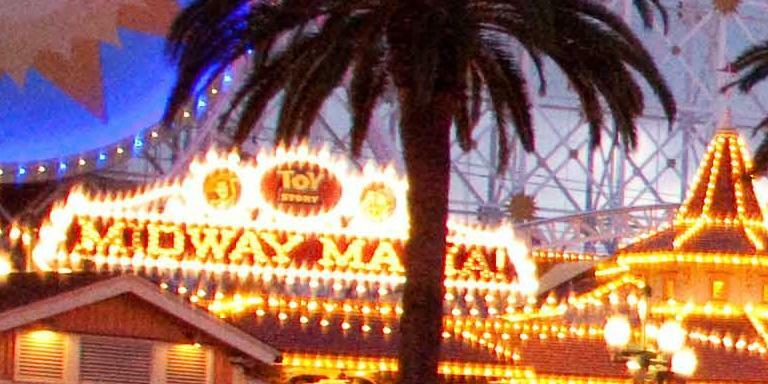 One of California's most popular attractions! 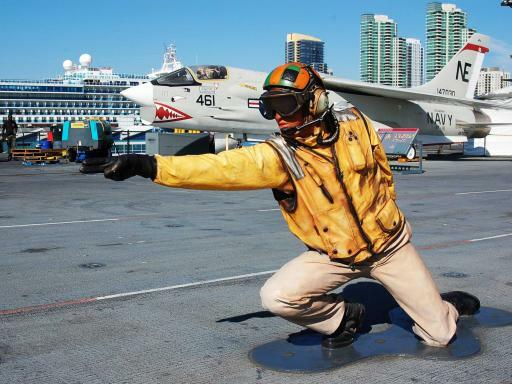 The USS Midway Museum is San Diego’s newest visitor attraction featuring 60 exhibits and 29 aircrafts. 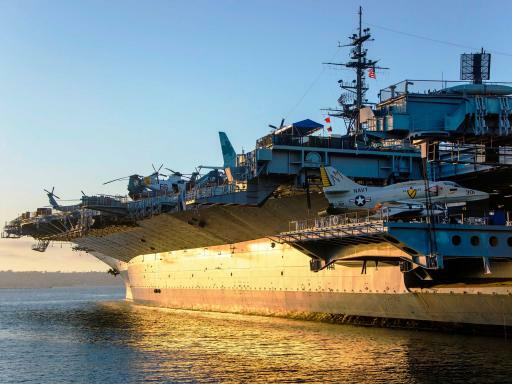 This fantastic naval aircraft carrier, also known for being the largest ship in the world for a decade, is the longest serving U.S Navy aircraft carrier of the 20th century and offers a fascinating visit for all the family! Ever imagined what it would be like to live with 4,500 shipmates aboard a floating city? Well, now you can as you explore galleys, sleeping quarters, officer’s country and the huge 4-acre flight deck of the USS Midway. Walk in the footsteps of 225,000 sailors on a historic U.S. Navy aircraft carrier and enjoy an incredible self-guided audio tour, which is narrated by former Midway sailors and officers themselves. 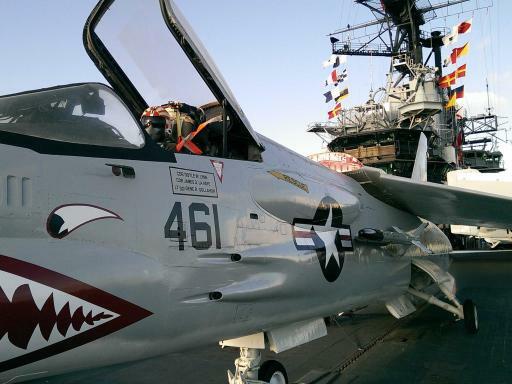 Home to more than 60 exhibits and 29 restored historic aircraft, the USS Midway was the Navy’s longest serving carrier from 1945 – 1992 and was active in the Vietnam War and Desert Storm. Checking out the interactive exhibits and climbing aboard the aircrafts will keep guests of all ages entertained. 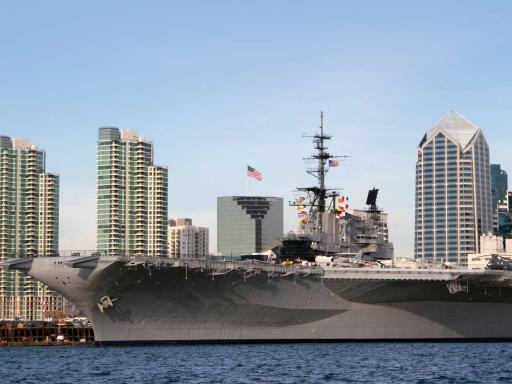 Enjoy amazing views of San Diego Bay and come away feeling amazed and inspired by the pure courage and sacrifice from everyone that served their country. 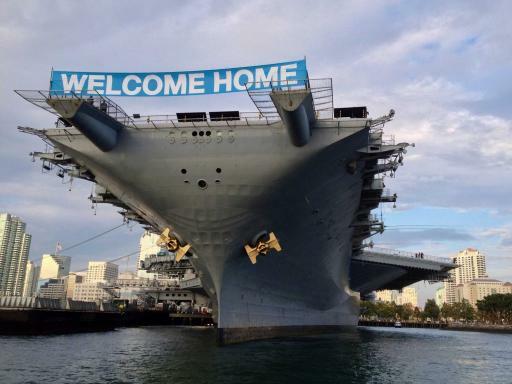 This USS Midway Museum will create a once in a lifetime memory for everyone! 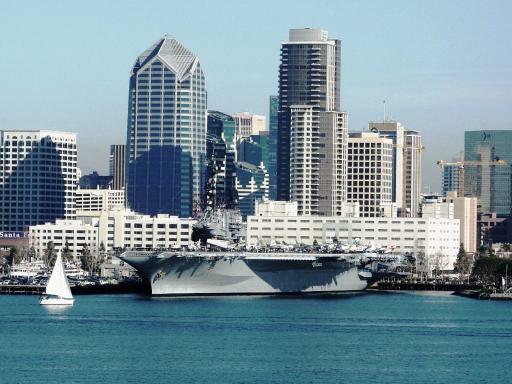 USS Midway is located on downtown San Diego’s Embarcadero alongside Navy Pier (910 N. Harbor Drive). 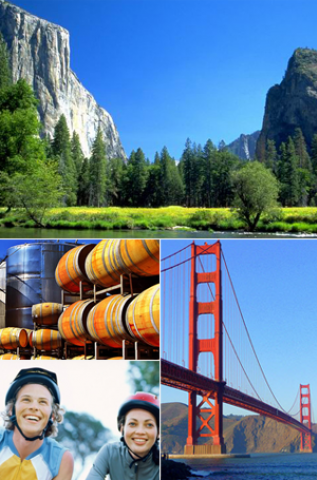 Additionally, the attraction is just a 90-minute drive from Los Angeles. Daily, year round from 10.00am-5.00pm. Please note USS Midway is closed on Thanksgiving and Christmas Day. Last admission is at 4.00pm. 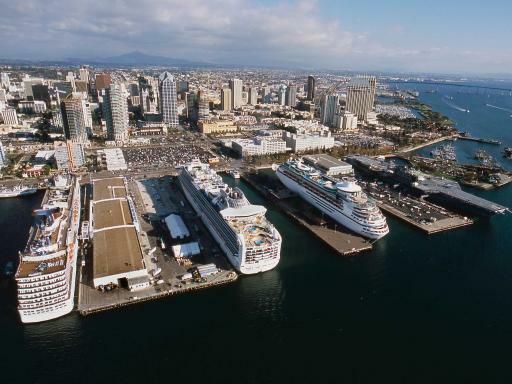 Departure Location: USS Midway is located on downtown San Diego’s Embarcadero alongside Navy Pier (910 N. Harbor Drive). Departs: Daily, year round from 10.00am - 5.00pm. Please note USS Midway is closed on Thanksgiving and Christmas Day. You will be issed with an open-dated USS Midway Museum Ticket allowing you to visit on the date/time that best suits your itinerary. USS Midway is closed on Thanksgiving and Christmas Day. The final entry is at 4.00pm. Flight simulators are not included in your admission ticket and are payable locally. Exhibits and hours of operation are subject to change. 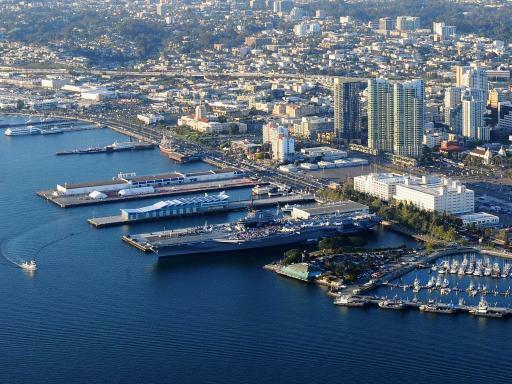 The USS Midway Museum is around a 2 minute walk from the cruise terminal. Is the USS Midway Museum wheelchair accessible? Yes, plus around 60 percent of the museum’s exhibits are wheelchair accessible.